Shoes Cabinet with 2-Drawers. 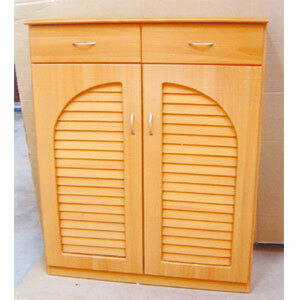 Available in Light and Mahogany Finish. Strong Construction. Easy to assemble. Holds approximately 15 Pairs of Shoes. Size: 30 In. (W) x 13.5 In. (D) x 39.5 In. (H).